Join us for in store tastings arranged by our house Sommelier on Fridays and Saturdays. Or arrange a private wine seminar for your group! Come, taste and see why we do what we do. Smell and taste are closely linked to memories. We make experiences memorable, by giving people in Whistler access to a carefully curated and thoroughly researched selection of quality wines, craft beer and spirits. We do our homework. Stop by the tasting bar any Friday or Saturday and help us with that chore. Make your next meeting memorable, with a wine and beer tasting. A judge on the Corncuopia annual awards panel, and a professional taster for 20 years, put yourself in his hands. “My approach as a professional sommelier is to build wine culture, as opposed to being snooty, because that doesn’t make you any friends.” And wine should lead to friendship and good experiences. In the best scenarios. Sommelier-led presentations, “Vintage Advice” sessions, combine tastings, insight and delight. 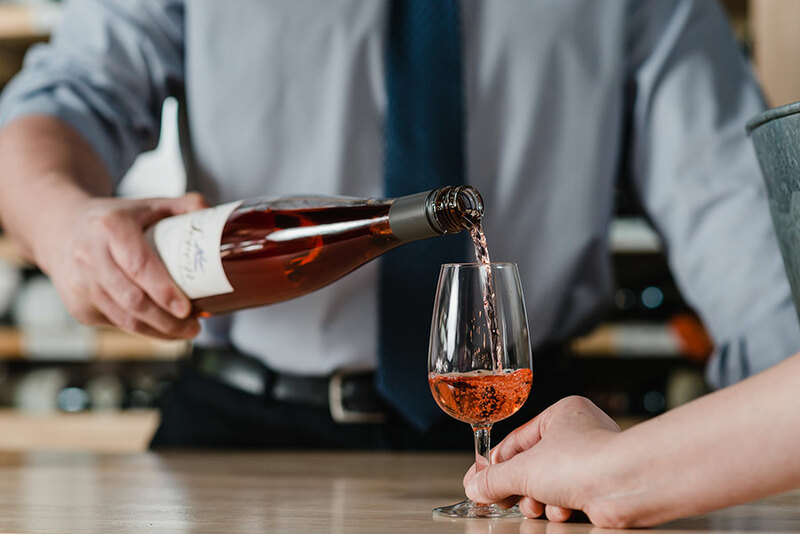 Available for groups at the Fitzsimmons Pub, or in your own private location, let a wine whisperer inject something refreshing, bold and flavoursome into your next group gathering. – Taste a special selection of both white and red wines from a variety of producers with description and discussion of style and country. – Discuss grape and wine characteristics, notable regions and producers. – Discover how to taste and assess wine correctly with the ‘Sniff, Slurp & Spit’ practice. – Learn the ‘cause and effect’ of wine and food chemistry, and how to match wine with your meal. – Enjoy wine and learn in a relaxed, sociable atmosphere with a professional Sommelier.